Located in a rural environment this restored farmhouse (175 m2). 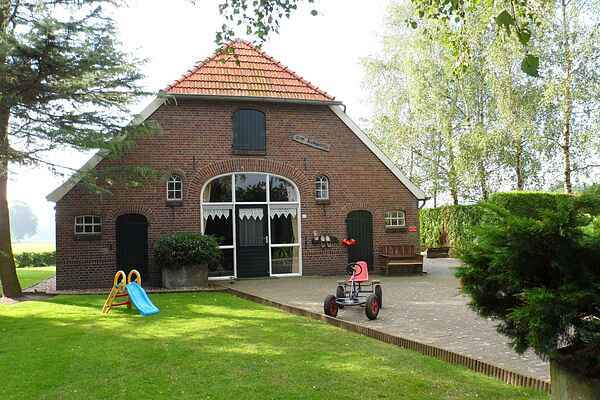 Due to the farm`s location there are many possibilities in the area: recreation pool "`t Hambroek" (7 km), hire of bikes in Diepenheim (3 km) and 2 subtropical swimming pools: "`t Spilbroek" in Neede and in Haaksbergen (10 km).3 children's bed (with quilts) 3 children's chairs present. There is tourist information in the house. In the kitchen there's even an oven. There is even a baby bath, dressing cushion and toys for the kids.